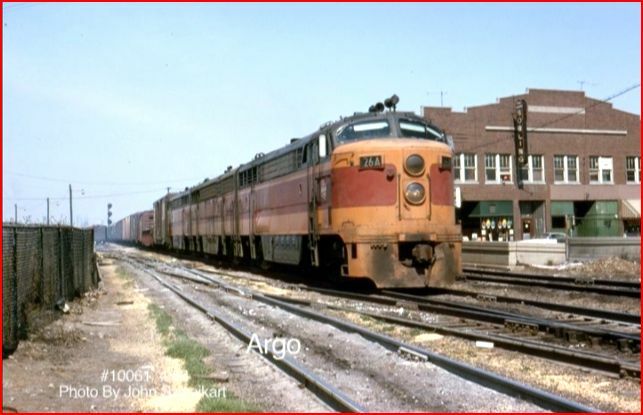 Locations: Argo, LaGrange, Bensenville, Westchester, rural Indiana, rural Illinois and more..
MSRP: 25.00 each, or 2 slideshows for 40.00. This is a first on ATVR. It is a slideshow on DVD. Usually, I only review films. However, this is formatted to view on a DVD player. 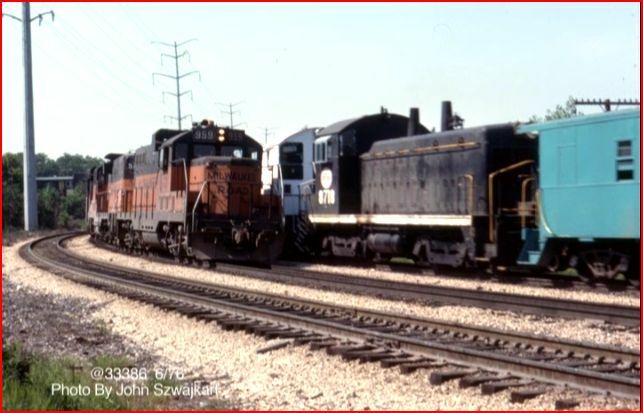 In the days before video became commonplace, railfans often shot 35mm photographs. Slides were a great way to get pics, and one could always present a slideshow to others. There is a chapter menu that makes navigation easy. John Szwajkart has a huge collection of slides. He has at least 280 slides per show. 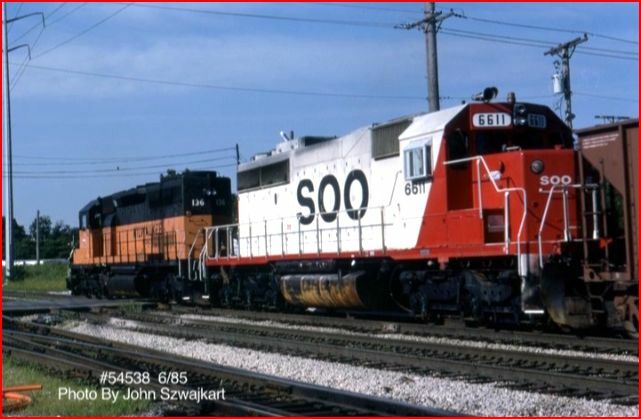 The photos consist of mainly locomotives. There are some pictures of other local areas as well. Steam is briefly covered. Mostly black and white section. Some color pics by John. 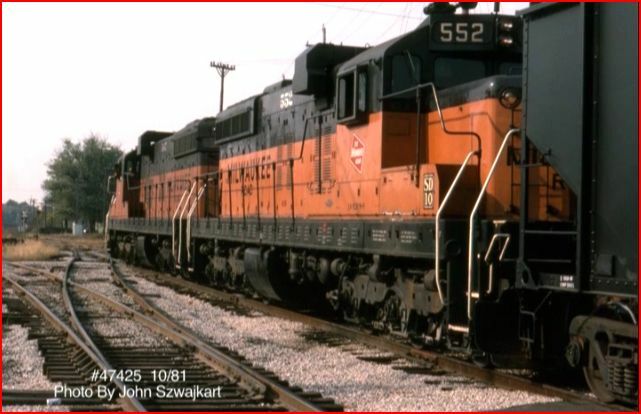 The Milwaukee Road ran from Chicago area to Southern Indiana. The main reason for the line, was to access coal from around Terre Haute. The bulk of the show is on Indiana Harbor Belt around the LaGrange area. IHB has a 1976 Bicentennial SW7. A perfect photo is present in the show. A series of maps with some limited text outlines the history. Proceeding to the slideshow, the presentation is divided into chronological order chapters. Dates and locations are given with on screen graphics. A clicking noise sounds like the old carousel projectors. Overall, there are many fine pictures. Mostly color film. Some of the early 50’s is in black and white. The colors are well balanced. A great looking slideshow. Though the familiar town names abound, the backgrounds are different than later years. Things just weren’t as built up. 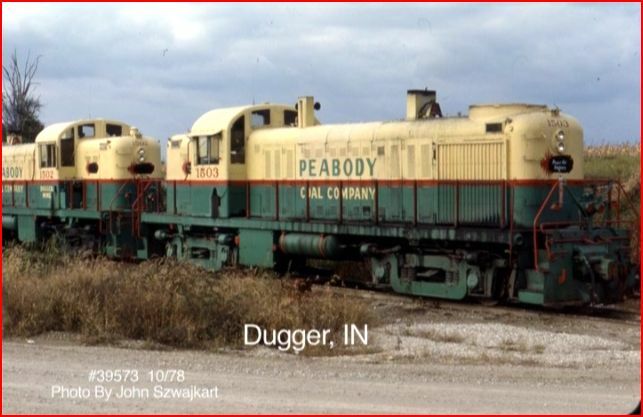 The above shot of the Fairbanks Morse diesels at Argo, on Indiana Harbor Belt. 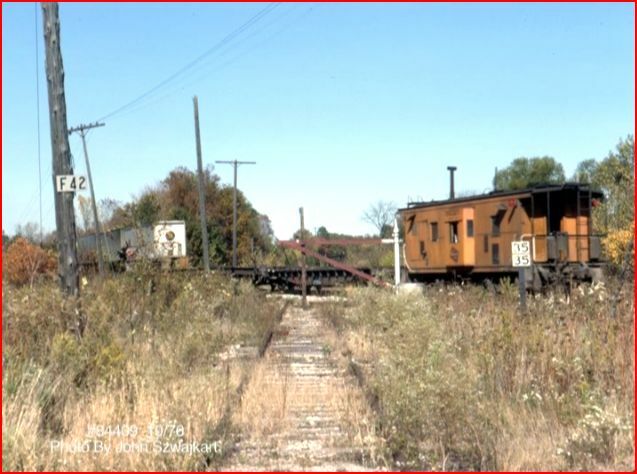 Venturing into Indiana, we see New York Central, Illinios Central and others. This adds some variety to the show. A handful of shots that have an open pit mine served by Peabody Coal. A train crosses at Midland. Note the gate and a pole mounted in the center. 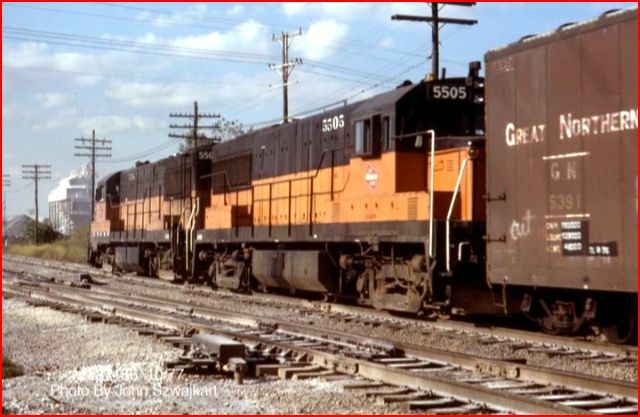 General Electric power began to appear in Chicago, as electrification was on the way out..
EMD SD10 power operates in rural Indiana. Soo Line takes over. The end of this show looks like a Soo Line program. An odd task is to rate this slideshow. It does not compare to standard train videos. It is a unique offering. 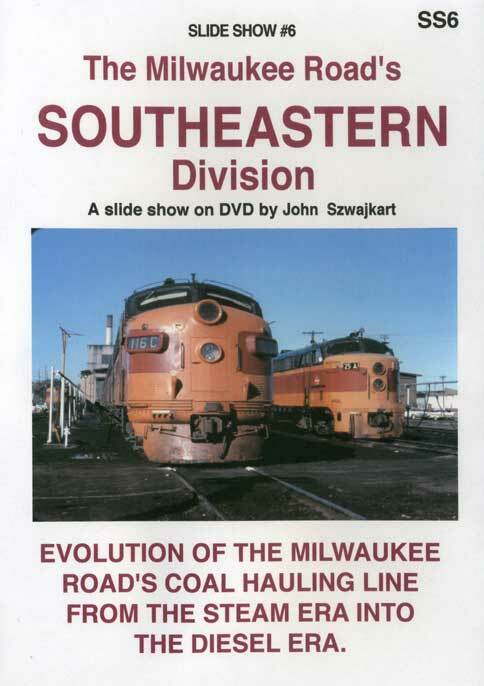 Fans of Milwaukee Road will find this enjoyable. 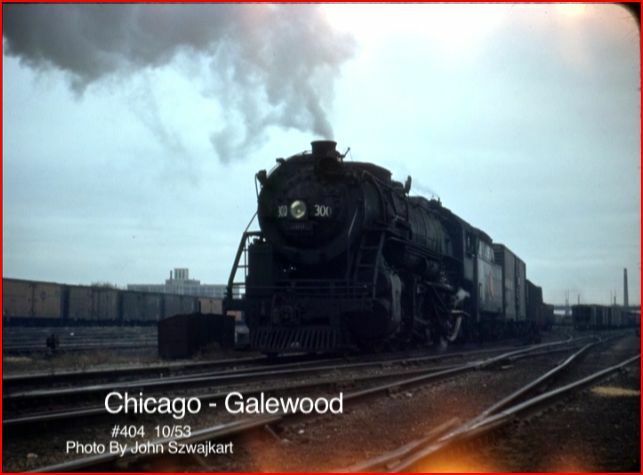 Model railroaders will appreciate the huge number of images. Mr. Szwajkart does catalog additional slideshows. 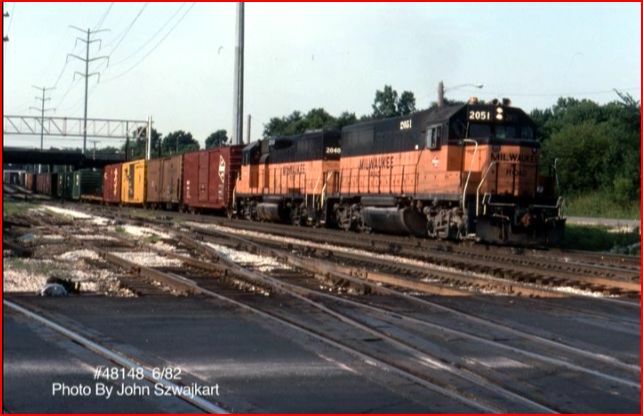 The bottom line is that is an excellent selection of Milwaukee Road pictures. 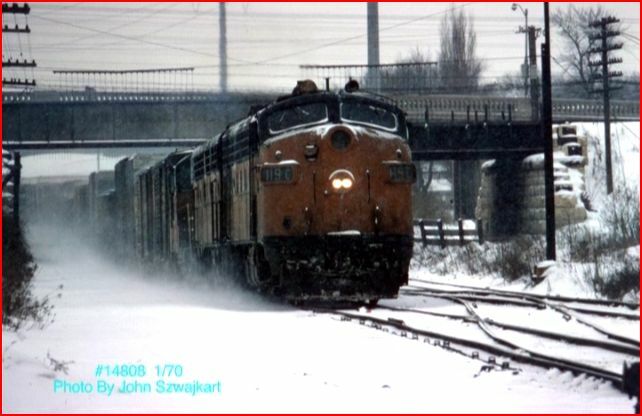 This entry was posted in ATVR Reviews, John Szwajkart and tagged American Train Video Reviews, Chicago railroad, Milwaukee Road, Railroad, Train DVD by William J. Hudson. Bookmark the permalink.